I have heard this countless times, and it never fails to bring a smile to my face. Almost always, the observation is voiced by an enthusiastic taxi driver, when I am headed somewhere for an assignment. I don’t mind at all; in fact, I welcome the opportunity to talk to a fellow Pakistani about the latest news.The topics that come up revolve around the weather, food, cricket, politics, and the places in Pakistan that I have visited. Ask any Pakistani, and they will tell you that their corner of Pakistan is the most beautiful in the world. And really, it is hard to contest that sentiment. From the winding, narrow streets and old bustling bazaars of Lahore; to the fruit orchards in Quetta; the fresh water streams in Neelum Valley; and the snowcapped mountains in Skardu, there is something in Pakistan for everyone. This is reiterated by the majority of taxi drivers that I converse with. Usually, they extend an invitation to visit and explore the magic of a certain location back home, if I haven’t already. Most of my travel in Pakistan was to areas where my uncle (in the army) was posted. Summer vacations in school usually involved a trip to Lahore and then a few weeks spent wherever my uncle and his family were posted. It was thanks to my uncle that I was able to explore Abbottabad, Quetta, Sialkot, and Murree; all places I would recommend to anyone. Over the years, I have jotted down what various locations have to offer. Some are places that I have already visited, some that my friends and family have visited and recommended. Many locations I have only read about, or seen in pictures. Jinne Lahore nahin dekhya woh te jammiya hi nahi. An old Punjabi saying in my hometown, it means, ‘a person who hasn’t seen Lahore, hasn’t truly lived’. The city is the cultural capital of Pakistan, and her residents will tell you that she hides her many secrets well. Lahore is home to several historic sites dating back to the Mughal dynasty. To get an idea about how special Lahore is, a visit to the Walled City is in order. The area, which is also known as the old city, is home to several mosques, shrines, forts, palaces, and monuments. If, like me, you are willing to put on a pair of boots and go hiking towards a little corner of heaven, then Skardu is the place for you. The city often finds itself on the lists of most beautiful places to visit in Pakistan, and for good reason. Nestled against the Karakoram Mountain Range, the best time to visit is in the summer starting from May, since the location is cut off in the winter. 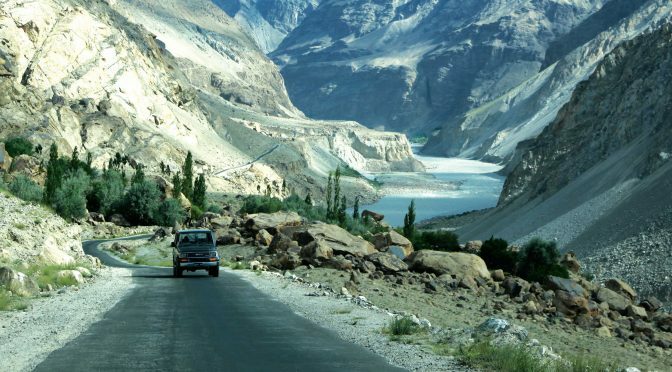 Once you get to Skardu, find a local guide, rent a 4X4, and set off for the Deosai Plains to enjoy the rugged beauty of one of the highest plateaus in the world. There are two things that come to mind when a person says Shandur: the first is its description as the ‘Roof of the World’, and the second is the Shandur Polo Festival, which draws hundreds of visitors to experience a traditional polo tournament that has been held annually since the 1930s. At 3,700 metres, Shandur Top is the highest polo ground in the world. Visitors can watch the final matches of the tournament with the snowcapped mountains in the distance. The festival also features lots of traditional folk music, dancing, food, and fireworks in the evening. Take a walk to Shandur Lake, which comes alive in the summer months and is surrounded by green grass and alpine flowers. For the adventurous, tour operators in the region offer a number of activities such as paragliding. After sunset, find the right company and a comfortable spot to star-gaze.